Work urgently with me on Brexit - May appeals to EU - SABC News - Breaking news, special reports, world, business, sport coverage of all South African current events. Africa's news leader. May described the meetings in Brussels "as part of a process leading to the government bringing back" a new vote on a Brexit deal. 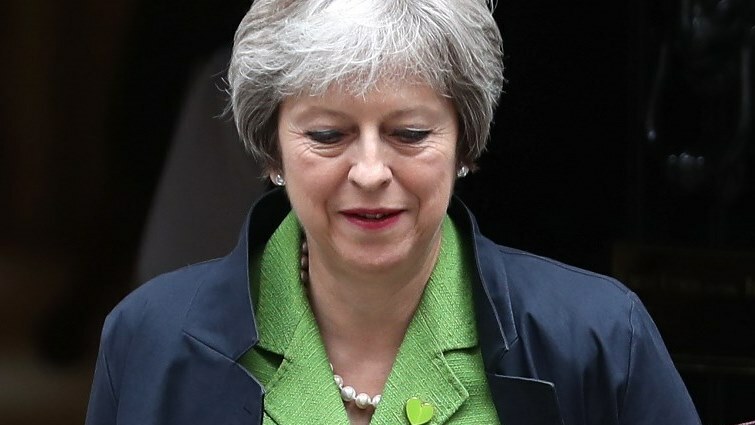 British Prime Minister, Theresa May, will call on the European Union on Thursday to work with her to change a divorce deal and help her win the support of a divided parliament to smooth Britain’s departure from the bloc. Before arriving in Brussels for talks with EU leaders, May acknowledged that her task – to force change to a deal agreed almost three months ago – would not be easy, and a government source said a breakthrough on Thursday was not expected. Just weeks after parliament resoundingly rejected her Brexit deal, May needs to persuade a reluctant EU to change the Withdrawal Agreement to help her get lawmakers’ approval before Britain is due to leave the EU on March 29. If she cannot, Britain, and May, face an uncertain future,opening the door to several scenarios – leaving without a deal which some businesses say might cripple the economy, another referendum, an early election or never leaving the EU at all. Some lawmakers want her to remove the provision entirely,while others say they will accept legally-binding assurances that it would not lead to Britain being trapped in the EU’s sphere indefinitely or a way for London to end it unilaterally. But the EU, and particularly Irish Prime Minister Leo Varadkar, say they will not re-open the agreement, underlining that the political instability in Britain only further proved the need for the backstop. Frustration with Britain boiled over on Wednesday when Tusk openly wondered what “that special place in hell looks like, for those who promoted Brexit, without even a sketch of a plan howto carry it out safely”. But even though both sides say they do not want Britain to leave without a deal, any breakthrough on Thursday is unlikely. This entry was posted on 07 Feb 2019,09:34AM at 9:34 AM and is filed under World, Homepage Featured Story Slider. You can follow any responses to this entry through the RSS 2.0 feed. Both comments and pings are currently closed.